Forward-thinking design meets unprecedented levels of usability. The LUVVITT ACROBAT cover has functionality at its heart and makes it easy to stand the tablet up even while it remains protected. 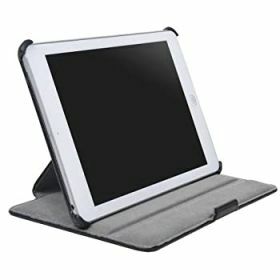 Thanks to an innovative triangular built in stand, you can shift the iPad into a standing position without detaching the corners from its case. - Innovative triangular built in stand that lets you shift the iPad into a standing position without detaching the corners from its case. - Screen auto sleep/awake functions with 100% accuracy. - Multiple angles for viewing and typing. - Compact, light weight, sleek. Durable, hardworking protection against dirt, dust, scratches and impacts. 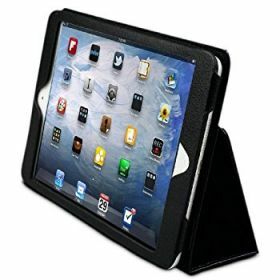 - Custom made to fit your Apple iPad Mini perfectly. Super slim yet engineered to be super strong. - Screen auto sleep/awake function with 100% accuracy. Built in stand for typing, viewing and reading. 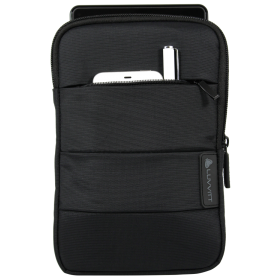 - Easy access to buttons and connectors without taking your iPad Mini out of the case. - The LUVVITT 3D Slim Folio Case is exceptionally compact, lightweight and sleek.